A self-described working joe disenchanted with Republican leadership in Ohio will challenge District 1 incumbent Rob McColley in the Nov. 6 general election. Democrat Adam Papin, who was uncontested in the May primary, will face McColley (R-Bryan) for the Senate seat. Elected District 81 state representative in 2014, McColley was appointed in 2017 to fill the District 1 vacancy left by Cliff Hite. McColley, whose term ends in December, won the Republican primary last spring with 61.5 percent of the vote, defeating opponents Craig Kupferberg and Bob Barker Jr. The 38-year-old Bryan native is taking his first leap into politics as the race’s Democratic contender. A graduate of Northern Michigan University with a fine arts degree in furniture design, he works as a fabricator at Sauder Manufacturing in Stryker. He entered the race against Rob McColley after determining that Ohio has evolved into a one-party state. “I want to offer a different choice. I want to come up with solutions to the issues Ohio faces,” he said. Papin is pursuing a Senate seat so he can be directly involved when the state’s legislative maps are redrawn following the 2020 census. “That’s important. We can draw them in a just way and have more competitive elections,” he said. 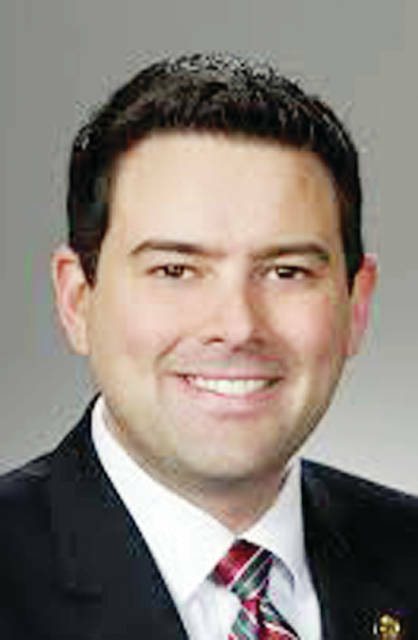 Among his top priorities in office will be addressing the worker shortage in northwest Ohio. While he acknowledges the current increase in applicants who fail employers’ drug tests, he attributes the shortage more to a demographic lack of people regionally – and in rural communities in general – to fill vacant positions. Because the unemployment rate is low, Papin also thinks there just aren’t as many people looking for jobs. “A lot of companies are struggling to find qualified workers,” he said. His solution is to reform Ohio Means Jobs, a government service that assists the unemployed in finding work. Papin said he would add video conferencing to the service during the initial interviewing process with potential employers so it can be completed remotely. He would also permit the drug test an applicant takes at the service’s local office to be distributed both statewide and nationwide, saving the potential employer money and the potential employee a trip. As for resolving the state’s important issues, Papin said local municipalities already tackling those issues could contribute their individual solutions to the process. The state can examine them, determine which work best, and adopt them on a statewide scale. The candidate would also like to see state representatives and senators mandated to conduct a town hall meeting in their district at least every other month. “It’s real important that people have access to their legislators in a way that they can see them face to face,” he said. Local government is hurting from cuts in their local government funding by the state, Papin said. He sees a solution in Ohio’s prodigious rainy day fund. “It’s raining in a lot of local communities, and we could use that umbrella by tapping into the rainy day fund, especially since the economy is doing well,” he said. And Papin is concerned about the struggles of the middle and lower classes. He laments that so many parents are forced to take second jobs simply to maintain their households, and that, for many, child care costs are out of reach. As for Ohio’s ravaging opioid epidemic, Papin opposes proposed Issue 1, and would expand funding for local solutions, such as drug courts. He professes little knowledge on the subject of drug abuse, and said he would consult with experts on opioids when addressing the issue. “We have great resources in Ohio. If we all come together and work to solve the problem, then we can do it,” he said. As a key component of rehabilitation procedures, Papin would like to pursue the “Ban the Box” movement – omitting the box on job applications that asks the individual if he or she has committed a felony, most specifically illegal drug use. “That would help people with past felonies get back in the workforce without prejudice, so they can become productive members of society by going back to work,” he said. Papin said he can relate to his constituents because he faces their challenges. 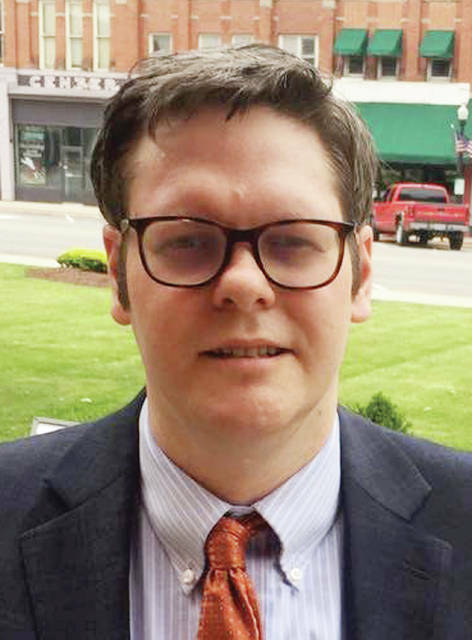 A Bryan native, McColley, 34, earned a Bachelor of Science degree in Business Administration, with a major in finance, from Ohio State University. He completed a law degree at the University of Toledo. During his brief tenure as Ohio District 1 senator, he has sponsored several pieces of legislation. They include Senate Bill 293, now being reviewed in the House, which would require agencies to reduce regulatory restrictions for occupational licensees by 30 percent over the next three years; and Senate Bill 255, also currently in the House, which would require the state’s occupational licensing system to demonstrate that its rules and regulations are not excessive in scope. McColley said his focus remains on addressing the state’s opioid epidemic, particularly the need to better facilitate treatment and keep Ohio’s court systems viable while working to rehabilitate offenders. “We have programs that are working but, certainly, more work needs to be done,” he said. McColley is also concerned about the legislation’s provision that, with few exceptions, would permit all Ohio inmates to pursue up to a 25 percent reduction in their sentences. “These are individuals who absolutely deserve and should be locked up in prison. They present a legitimate threat to our safety,” he said. If Issue 1 passes, it will tie the hands of legislators, he added. If reelected, he will also continue to make Ohio more competitive for businesses, “a better place to continue to grow and prosper.” McColley said he’ll work to improve the regulatory system some small businesses owners argue is affecting their livelihood, and make Ohio’s tax structure more competitive with other states. And McColley said he’ll look for ways to resolve employers’ current inability to find workers. McColley said he also wants to create methods that marry education with private industry to produce better learning opportunities for students facing the the job market. And he vowed to continue his protection of “God given freedoms,” such as the rights to bear arms and to life.